President Obama laid out a broad effort to reduce U.S. greenhouse gas emissions over the next few years, including calling for regulation of existing coal-fired power plants within two years. A program launched by the University of Northern British Columbia is providing its engineering students with valuable experience needed for implementing bioenergy technology in Northern B.C. communities, which includes a two-week trip to Austria. 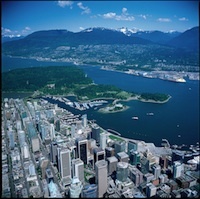 The 2013 Wood Pellet Association of Canada AGM and Conference will be held in Vancouver this coming fall. With an expected crowd of over 250, the event will for the first time include opportunities for supplier companies to exhibit or sponsor. Opportunities start for as little as $900 including registration for the two-day event. Space is limited. Woodland Biofuels of Sarnia, Ontario has received up to $800,000 dollars in Federal Economic Development funding to help continue developing its wood-to-ethanol process at the demonstration scale. Pellet industry stakeholders have long wondered why a pellet heat market has been so slow to develop in Canada. The director of market access and promotion for the Wood Pellet Association of Canada gives several explanations as to why the industry has seen so many delays. Progressive Waste Solutions opened a new waste reduction facility in Vaughan, Ont., which will divert 85 per cent of the construction and demolition waste it treats in landfill for recycling or conversion into biofuel.